During the interview a good manager or panel (be prepared for a panel of interviewers) will try to make you comfortable. This is nice, however be wary. 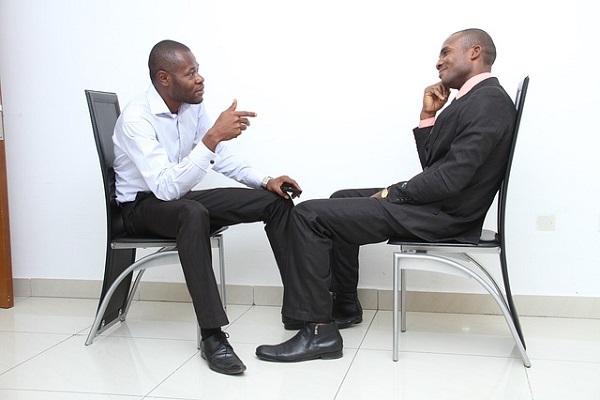 By being too relaxed, an interviewee may divulge information that would only be shared in the company of good friends. I conducted a casual interview once. Within 10 minutes the person admitted to workplace violence and getting fired. The strategy worked. I listened to a candidate answer questions about her anticipated performance better that any of our other job candidates. But she delivered the answers so meekly you would swear it was Jackie Harris from Roseanne. Weak demeanor is a huge disappointment for a team looking to add a star player. Open ended questions are designed to give hiring managers insight into your performance. Be prepared talk about what you did but, what you learned and the results. For some managers, if you can’t measure it you can’t manage it, so be prepared to talk about what your anticipated results were and what actually happened. In other words be prepared to talk about the numbers. Questions about failure, weaknesses, and challenges are common. Hiring managers do this for multiple reasons. First, they want to understand what a candidate has endured. Second, they want to get a better understanding of the potential hires problem solving abilities. Finally, these types of questions help them gauge how introspective a person is. Do you think about what has transpired and did you learn anything? If someone doesn’t learn from their mistakes, they’re likely to repeat them. But more so, isn’t it nice to be on a team with someone who is grounded and knows themselves well? I’ve been in many interviews in my management history. Getting comfortable with these basics will help prepare you. I had previously written about storytelling and again will promote that as a critical skill to develop, especially if interviewing is in your near future. Know your stuff, communicate it with confidence, and demonstrate your continuous improvement. This will separate you from at least half the candidates, guaranteed.